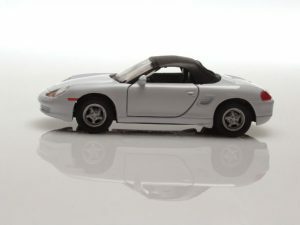 The Virginia Supreme Court reversed a $20 million product liability verdict favoring a woman seriously injured when her Mazda convertible rolled over. Justices ruled trial court abused discretion in allowing plaintiff’s expert witness to testify, and further, defendant manufacturer had no legally recognized duty to design or supply a soft top to a vehicle that would provide protection to occupants in the event of a rollover crash. This was a major decision, particularly given that, with interest, the actual payout in this case would have been well over $30 million. The injury lawsuit stemmed from a single vehicle accident that occurred when the 26-year-old driver swerved to avoid an object on a dark roadway. The object reportedly flew off the back of a truck ahead of her. She took the risk of swerving because there was no oncoming traffic on the two-lane road. This led her up a slight grassy incline. Her convertible rolled, landing upside down, with the driver’s side up against a tree. The convertible top was up, but the force of impact caused the windshield to separate from the roof. When it collapsed inward, her head was forced down so severely it caused a condition known as hyperflexion. Although the steel bars of the roof stayed intact, it was the inward collapse of the windshield that caused the most severe damage. She did not lose consciousness during the ordeal. She remembered suddenly feeling “light as a feather,” not being able to feel her legs. Plaintiff was rendered paraplegic, unable to ever walk again. Plaintiff sued the vehicle manufacturer as well as the seller in Holiday Motor Corp. v. Walters, asserting that even with a convertible, occupants have a reasonable expectation that the roof will provide injury protection in rollover crashes. Jurors agreed. However, the state supreme court justices reversed. They opined that a manufacturer has no duty to design a safe soft top that will protect passengers in the event the vehicle rolls. This is a reflection of the fact that while the Federal Motor Vehicle Safety Standards require vehicles to meet certain criteria for rollover protection, convertible vehicles are specifically exempt. The NHTSA has determined that it isn’t practical to have a roof crush standard on a vehicle without a permanent roof structure. In order to do so, a convertible roof would have to be both flexible enough to fold into the vehicle and strong enough to meet the test standards. At this juncture there is no known design that could meet this criteria. The outcome, of course, is disappointing for Fort Myers car accident lawyers who advocate for accountability from motor vehicle manufacturers. The good news is that this ruling doesn’t have a direct impact on courts in Florida. However, justices here could look to this decision for guidance if faced with a similar case. In a case like this, we might also recommend exploring uninsured motorist coverage, given that the accident was caused in large part by the negligence of an unidentified driver who failed to properly secure his load.